The Blood Moon Howlers are an American three-piece rock band formed in Los Angeles. Core members include guitarist/vocalist Matt Wayne, bassist/vocalist/keyboardist JuJu and drummer/percussionist Brandon Cooke. 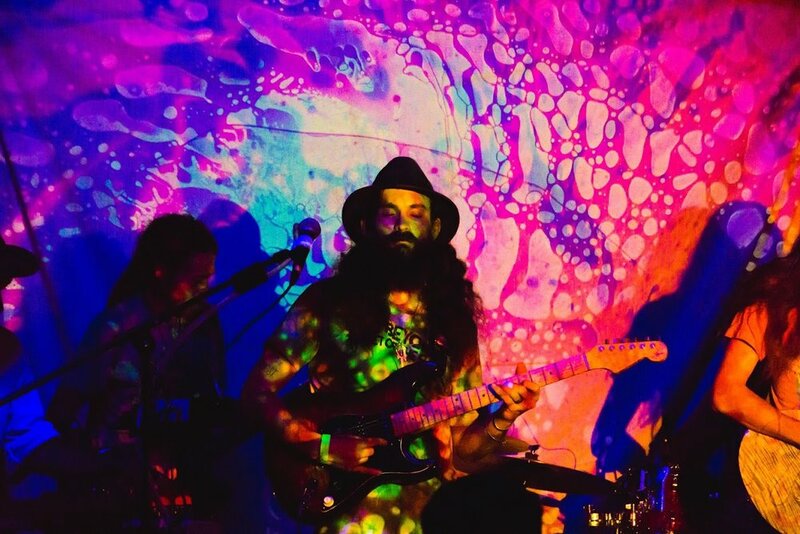 Featuring dual male and female lead vocals with whiskey drenched heavy swampy blues rock, flecks of smokey burlesque and psychedelic tendencies. The band formed in January of 2017 and since then has released 2 EPs and played venues all over Southern California. 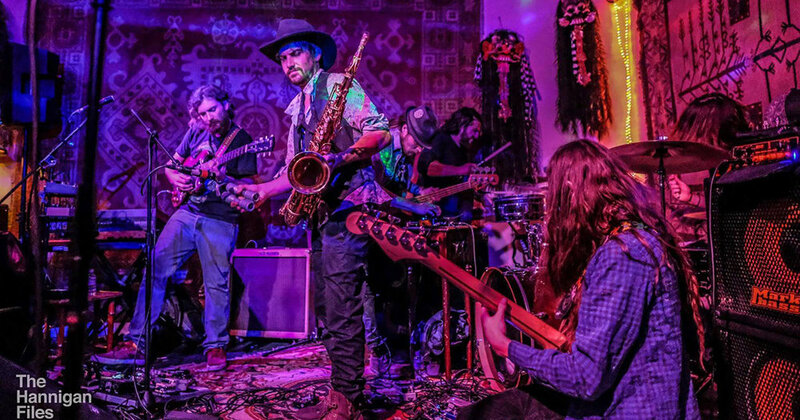 They are currently recording their first full-length album set to be released in the Fall of 2018 featuring an original song featured on the film Sugar Babe.They will be touring the western region of the United States in support of their new album playing Field Trippin' Fest (Taos, New Mexico) as one of their destinations. Cristina performs in Southern California having spent summers gigging in both New York and London prior to her move to Venice. Currently touring the USA with her "Show Me Your Hometown" tour, FIELD TRIPPIN' will be one of her destinations. It is safe to say Cristina lives through music, it saturates her life and is, for her, a necessary vehicle for expression. Performing with raw intensity and moving dynamism, Zephaniah Stringfield sings stories about his travels from the SF Bay Area to New Mexico and beyond, weaving biblical references and archetypes of traditional folklore with stories of highways, girls and greyhound buses. His songs echo bluegrass and country music, rock-a-billy and the blues, but his clever lyrics and up-front delivery are both modern and relevant. Winner of the 2016 Walnut Valley Festival New Song Showcase for song "Going to North Carolina"
DC born, raised by Texans on a diet of American Song, spirituals, rhythms and poetry Aaron Gilmartin is an award-winning composer and song-writer for film, stage and people’s enjoyment. Scored Once Upon A Line, a film shortlisted for the 2017 Oscar that won the 2016 Student Academy Award and took top honors at BAFTA among others. The songs for his first album were written on hiatus from NYC in Tucson where he worked with Calexico’s Jacob Valenzuela on trumpet and toured with Adam Levy of Norah Jones band. 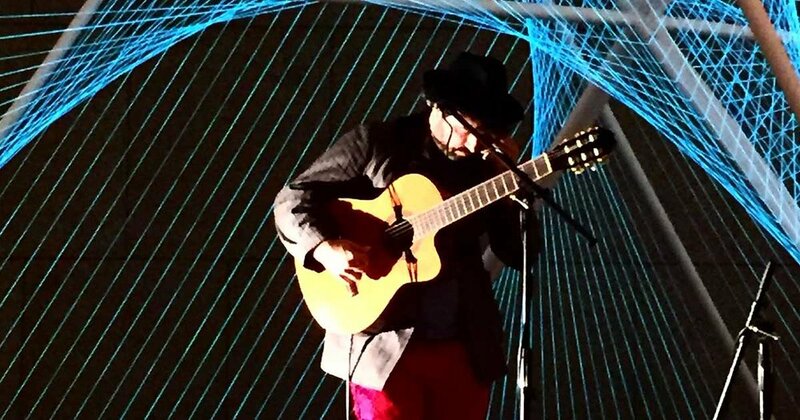 His songs bring the flamenco guitar together with looping and sampling of his band. Currently playing the new batch of songs written in West Adams LA Aaron is now a full time dad while composing and touring the US. Frequencies bring us together like water trickles down from the High Mountains to the ocean. Pris and Goyo, Los Angeles natives, join together for love of music and movement towards equality, and rejoice mostly with rare not-so-often played cover songs from everyone's past. 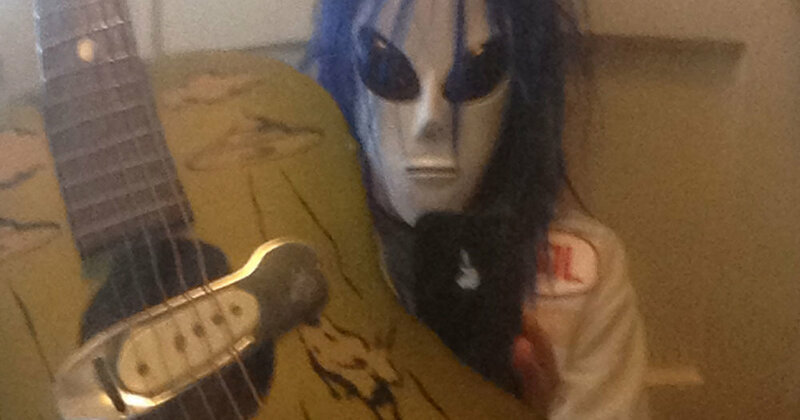 Pris is an enthusiast of various levels of music, dance and art of all mediums. With her ongoing studies for master degree in Dance Choreography she has recently discovered her own voice with guitar accompaniment from Greg "Goyo" Hernandez. 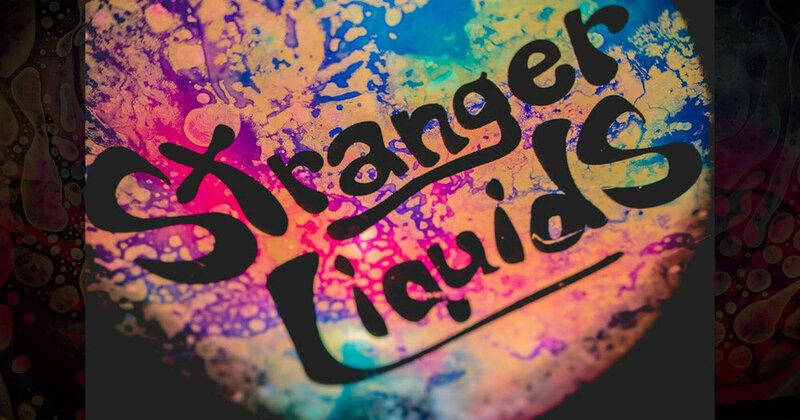 Stranger Liquids lightshow is a collection of liquid artists based in Southern California founded in 2016. Utilizing decade old techniques, overhead projectors are used to make all the effects by hand. 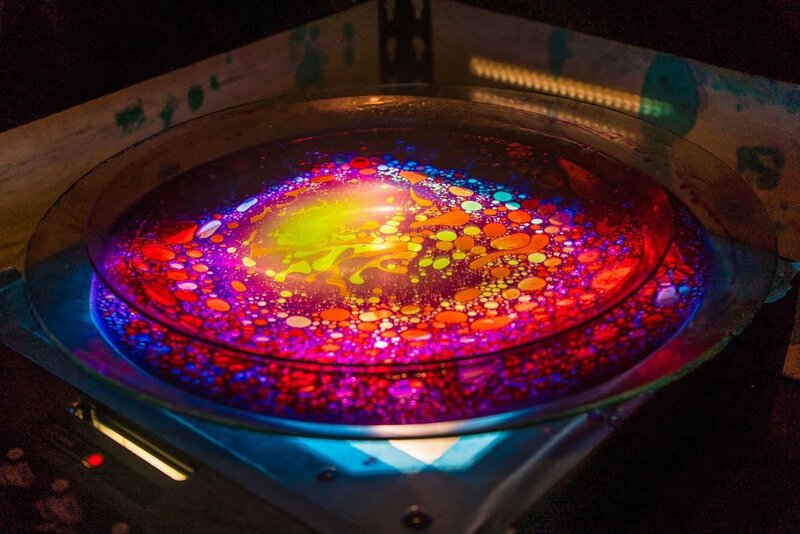 Bright colors and hypnotic movement paint Stranger Liquids as one of the most psychedelic light shows on the West Coast. 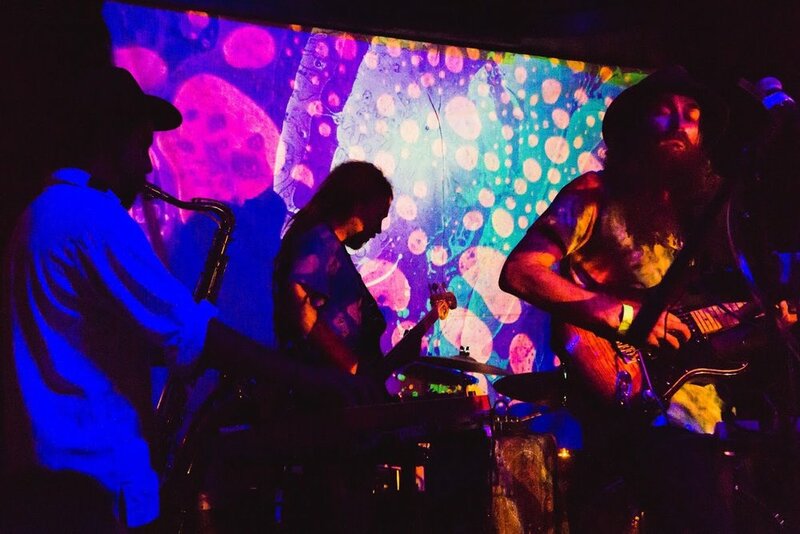 Ready for large festivals to small venues, Stranger Liquids brings the classic psychedelic experience everywhere they go. Created in January 2001 by Producer/Director, Karen Criswell, Koncept Films is an independent film production company working off of a mixed media and social issues model. Projects center around topics relevant in contemporary society; supported by art, music, poetry, language, and a multi-layered visual approach. The experience of the projects created should be one of emotional, intellectual, and philosophical connection with an intent to promote awareness and conversation. Partnerships and affiliations with artists, and organizations that are striving to produce quality work, push artistic boundaries, and stretch the borders of creative expression, is all part of the network that Koncept Films is striving to achieve. 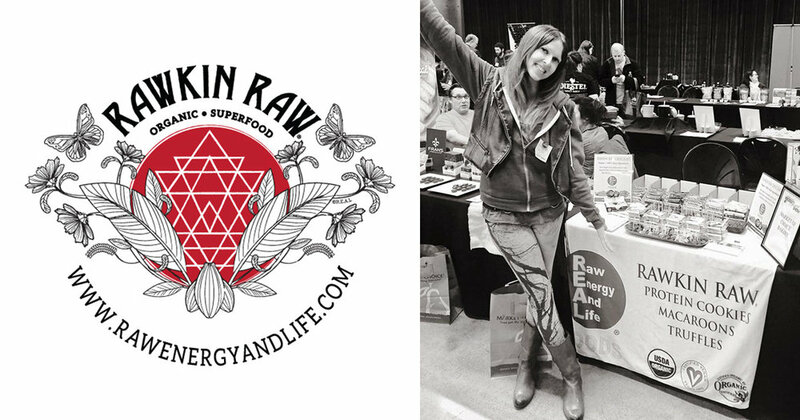 R.E.A.L (Raw Energy and Life) Foods is a company started by Erinn Williams, a raw vegan who created Rawkin Raw Chocolate, Raw chocolates packed with SuperFoods + Anti-Oxidants, Cacao, Goji Berries, Maca and Spirulina. Sold in CA, AZ, NV, & MT, available online and at Whole Foods, Erewhon, Co-ops, and other natural foods stores. Raw vegan superfood chocolate truffles, superfood macaroons and protein cookies! We are very excited to sponsor the VIP Reception for Field Trippin’ Festival 2018 in Taos right on the historic Taos Plaza! The Santa Fe Olive Oil and Balsamic Co. was launched in 2010 and now has two tasting rooms, each located on the plaza in Santa Fe and Taos. Our goal is to bring people and communities from all over the world together while enjoying the benefits of the finest Extra Virgin Olive Oil and quality Balsamic that we can source. We believe that by educating communities about the real health benefits of Extra Virgin Olive Oil, as well as quality aged balsamic, that we are able to make positive impacts on communities for a long time to come. It is an additional bonus that we might be able to further that positive impact through sponsoring a musical event like the Field Trippin’ Festival 2018: Venice Beach on the Mesa! Karmahigh is a Spirit based company that sells and shares uniquely conscious creations infused with Love and Light. We use a wide range of Spiritually Charged, Eco-friendly, EarthMama Connected and Socially engaged materials to mak e a beautiful collection of Sacred Adornment, Fashion Accessories, Healing Products, and Spirit Medicine Designs that will not only touch your heart but will also connect this EarthMama energy as a whole. We are very much into story telling as an ancient art and way to engage the spirit of what we do with who we are. Therefore, at lot of what we create, comes from an intuitive knowing and an artistic sense that originates from many of our travels and our connections with others. 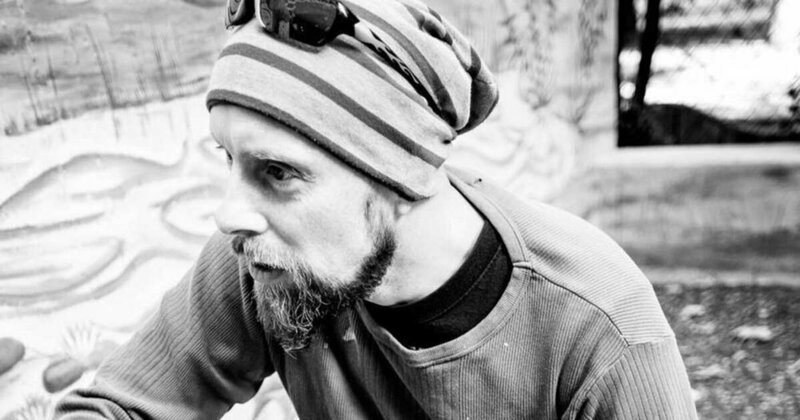 Our background in the artistic realms has been many. But let us just say..that the most important teacher to our creations has been the beauty of life itself. Our mission is to be of service to humanity through the art of creativity and the blossoming spirit. For this reason we appreciate all your love and support!! Moving one spirit at a time. One Heart. One Love. Many Blessings to all. ColiBrilla is a small, life honoring business based in Taos, New Mexico. We specialize in hand made, one of a kind, sacred art and jewelry, inspired by nature, Earth’s wisdom traditions, and the call of these times to bring forth all that is within us for the evolution of consciousness, the awakening of the True Human Being, and the preservation of Life and Wisdom for all future generations. Morbide Kunst aus Frankfurt / Germany … Oder - wie man den Teufel an die Wand malt. Zeitgenössische und Moderne Kunst vom netten Künstler aus der Nachbarschaft. Ich male schon mein ganzes Leben lang - habe aber erst in den letzten Jahren angefangen meine Arbeiten aktiv zu veröffentlichen. Warum so viele Schädel… ? Keine Ahnung. Wahrscheinlich weil ich damit aktuell besser meine Meinung ausdrücken kann. Morbid art from Frankfurt Germany … Or - how to paint the devil on the wall. Contemporary and modern art by the nice artist from the neighborhood. I have been painting my whole life - but I have only started to actively publish my work in recent years. Why so many skulls...? No idea. Probably because I can currently better express my opinion. Ob per Viking Knit gestrickte Ketten oder per Wire Wrapping detailreich gefertigte Anhänger - die Schmuckgestaltung mit Draht hat es mir angetan! Seit 2013 fertige ich Schmuckstücke aus hochwertigen Schmuckdrähten und liebevoll ausgesuchten Edelsteinen. 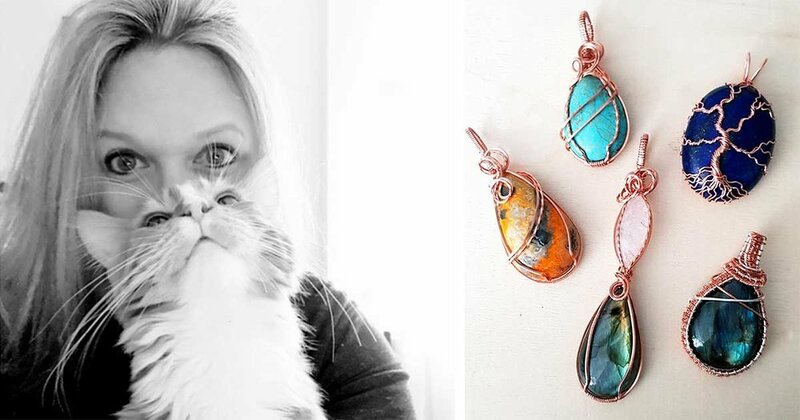 If viking-knitted necklaces or wire-wrapped gemstone-pendants - jewellery crafting with wires is my passion! Crafting of jewellery pieces out of high quality wires and selected gemstones since 2013.